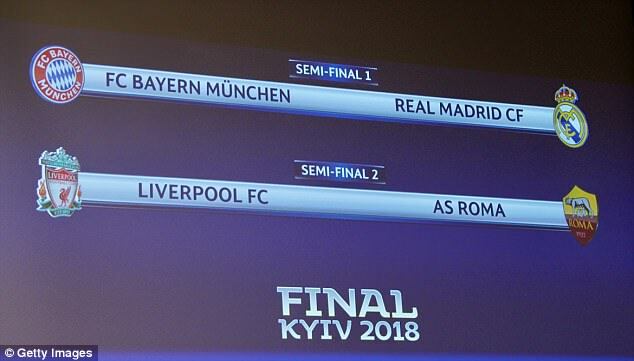 Rigged Champions league semi-final draw? 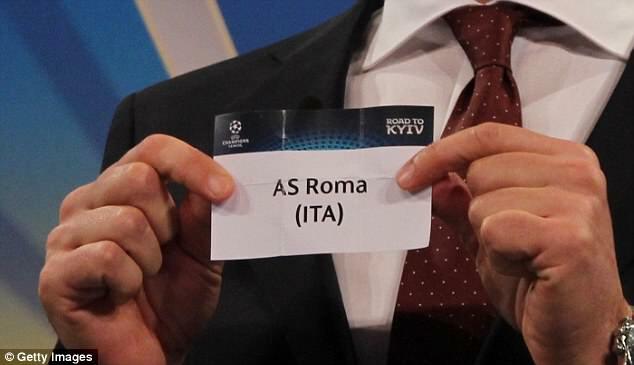 Football fans are claiming the Champions League semi-final draw was rigged after Roma allegedly advertised tickets for a match with Liverpool before the teams were paired together. A screenshot of an email sent to Roma season ticket holders on Thursday appears to show a link to buy tickets for a match on May 2 between Roma and Liverpool. In Friday’s draw, the Italian side were duly paired with the Premier League club, and because Roma were drawn out second, they will play the second leg at home on May 2. The email was said to have been sent out because of a ‘technical problem of Roma’s ticketing portal partner’ when the club was making ‘ticketing tests’ on Thursday. 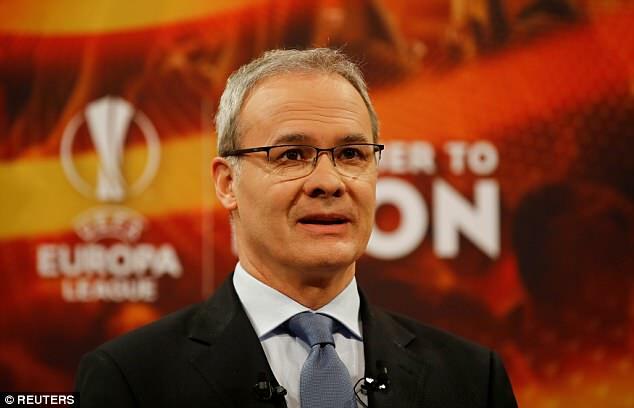 The website link was swiftly taken down, but not before conspiracy theorists took to social media and online forums to claim UEFA, European football’s governing body, had fixed the draw. ‘So Roma knew yesterday that they’d be playing Liverpool as they advertised tickets on their website. But it’s not fixed of course,’ wrote PrestwichBlue on Twitter. ‘If this happens, I won’t trust @UEFA again!’ said another Twitter user. The draw was made at 12.15pm British time or 1.15pm Central European Time. The Spanish defending champions Real Madrid were drawn against German team Bayern Munich in the other Champions League semi-final. Previous Champions League draws have attracted scepticism from conspiracy theorists. Last year, the Spanish newspaper AS suggested that UEFA had used heated balls to keep Spanish sides apart. In 2016, the Brazilian legend Roberto Carlos, conducting the group stage draw, came under scrutiny after appearing to pick up a ball, hold it for a few seconds and then drop it back again. UEFA hit back at such speculation last year when competitions director Giorgio Marchetti said: ‘How can the ball be hot or cold? 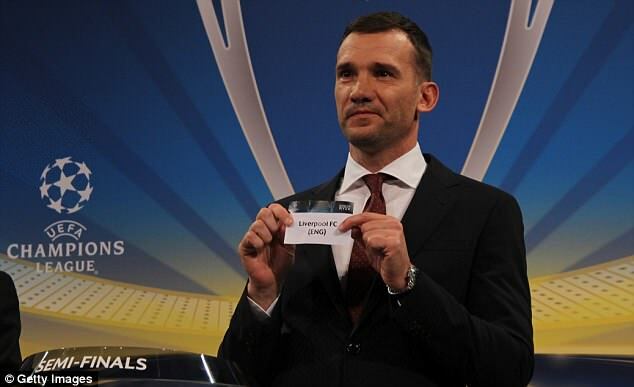 The Ukrainian football legend Andriy Shevchenko conducted the semi-finals draw at UEFA’s headquarters in Nyon, Switzerland on Friday afternoon. He is an ambassador for this year’s final, which will be staged in Kiev.